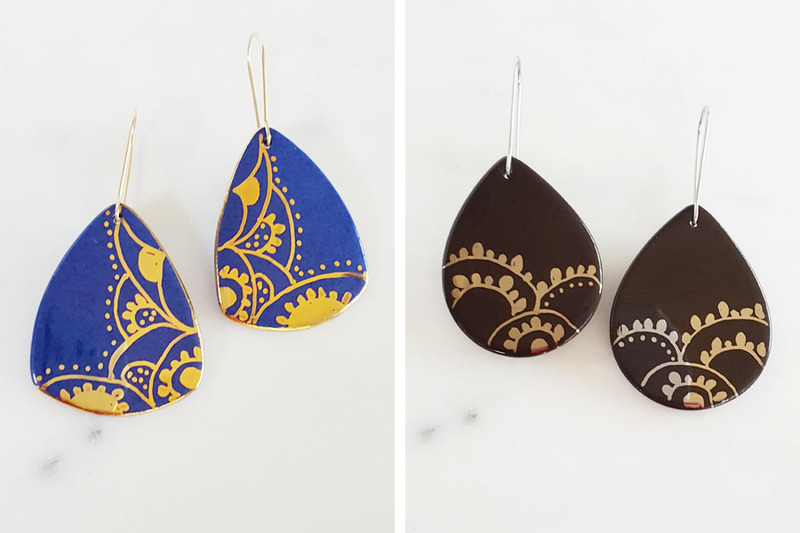 These gorgeous earrings by Birdy and Clementine are truly handmade in every sense of the word. 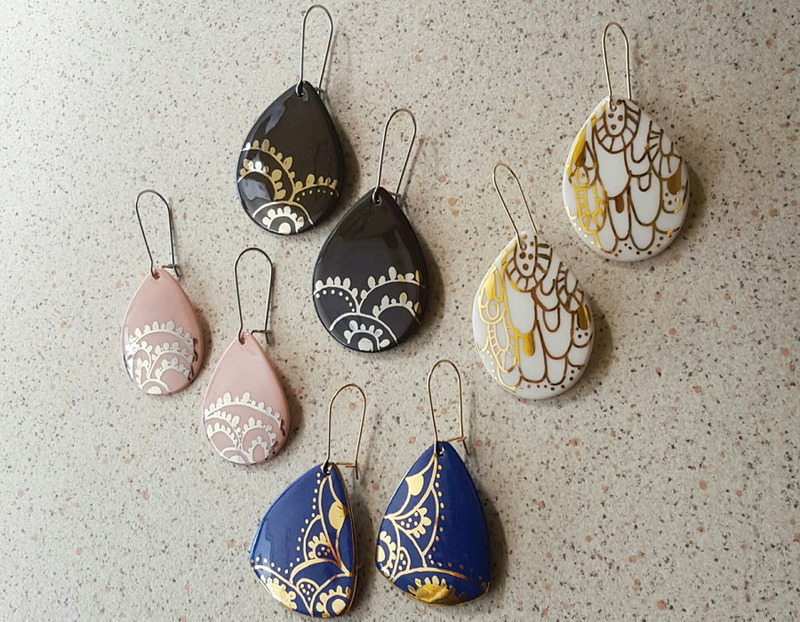 From staining the clay, to individually cutting each drop, to firing, sanding and glazing, right through to hand painting the gold embellishments, ceramicist Robyn is involved every step of the way. Through her creative practice at her home studio in the hinterland of the Sunshine Coast Queensland, Robyn has found the perfect outlet for self expression, and as a result her creations are unique and inspired. 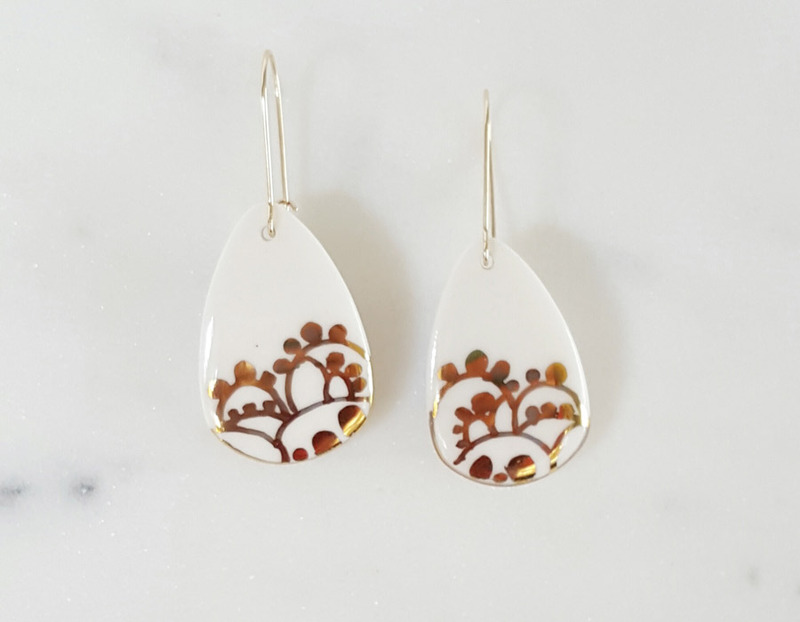 Discover these earrings, as well as the rest of the Birdy and Clementine ceramic collection at our Brisbane market, taking place on the 2nd and 3rd July!